I finally found some time to make more of these button sets available! Click on the image below to get to the pre-order page. 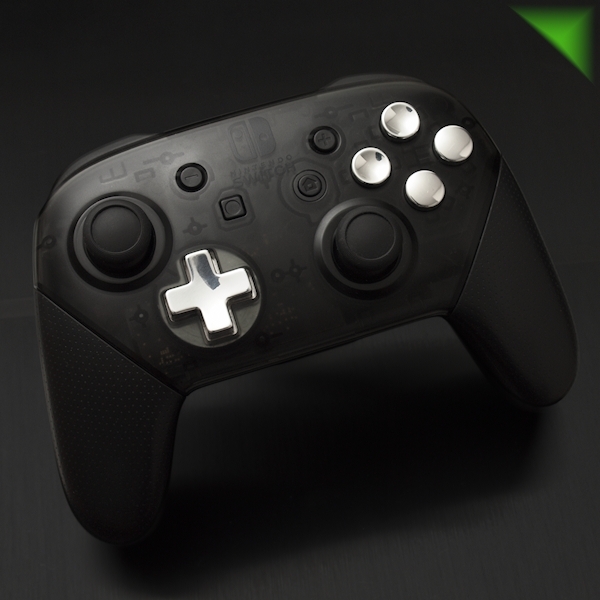 Here is something new for those of you with a Nintendo Switch Pro Controller. 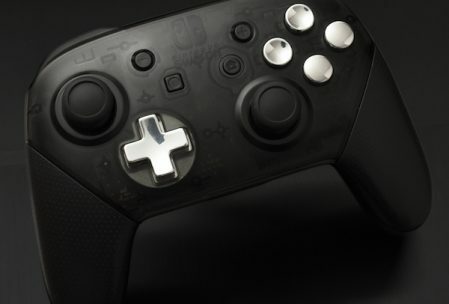 A cool looking and super slick feeling set of metal replacement buttons (ABXY) for the official Switch Pro controller. These are machined out of solid 7075 aluminium and finished to a high polish. They’re very smooth to the touch and a unique feature of this particular set is that the front (XY) are made in a concave or bowled style similar to what you may find on an old SNES controller. The AB buttons are convex and very similar to the OEM ones. Why concave? This was simply suggested to me on twitter as an idea and I decided to try it out. 🙂 Having played with them for a bit now I’m a big fan of how these feel. I just finished a small test run of these buttons. 1 set for myself and a few extras for anyone who wants to try them out. Please note that while the ABY buttons are interchangeable with each other the X button is not. The registration legs on the X button are unique and only available in Concave style in this batch. If you’re interested in a set of these buttons, let me know by subscribing for the email notification below! All convex, all concave, low profile, different metals etc are likely possible if I make these to order in a bigger batch. If enough people express interest I’ll be doing another run of these!